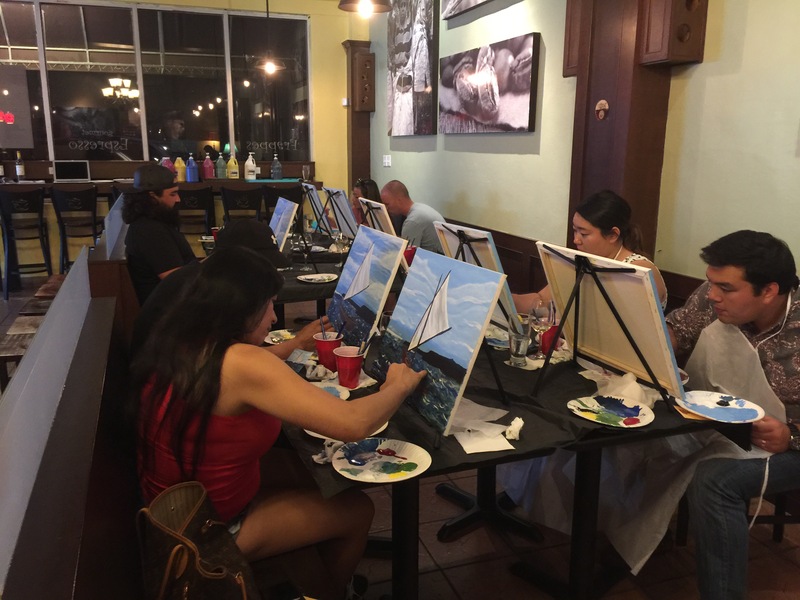 Color Guam held its first evening session at Port of Mocha in Hagåtña on Friday, May 14th. 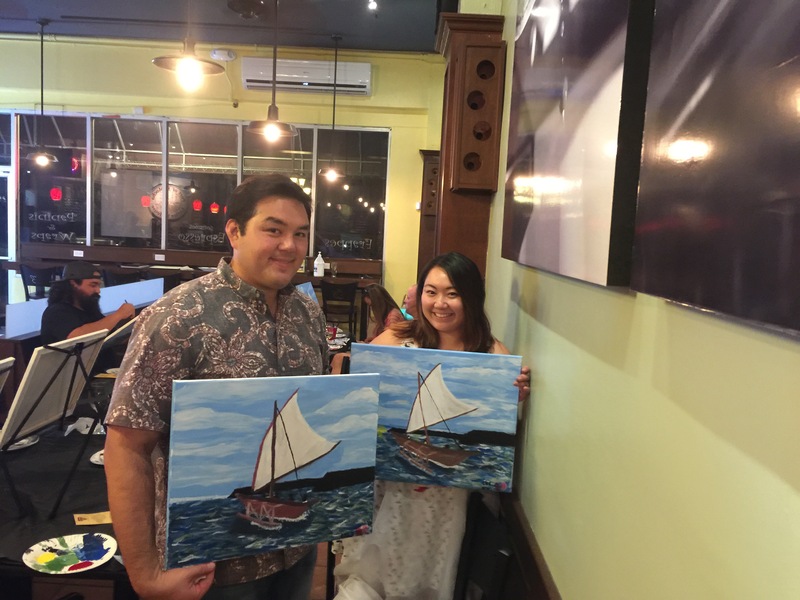 Students sipped on wine and painted Guam’s “Flying Proa”. 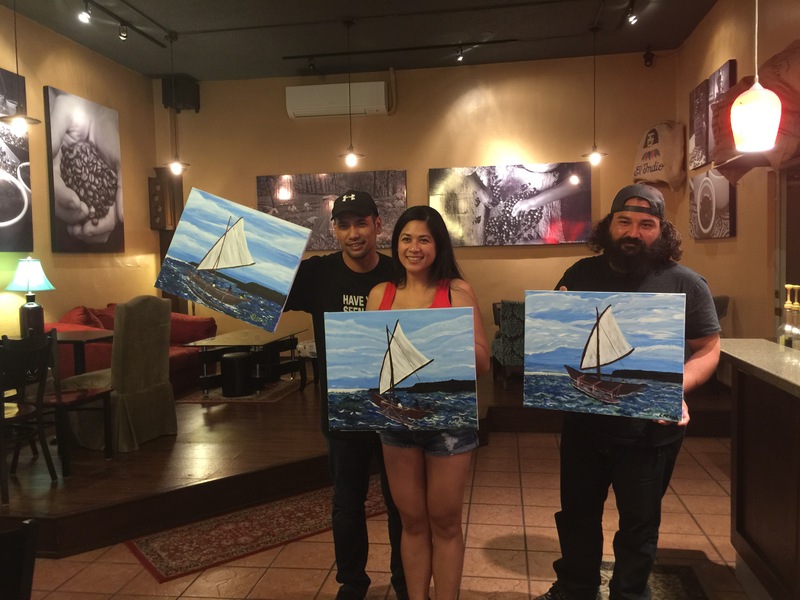 They went through the process painting the blue sky, learning how to create clouds, the ocean with a mix of sea green colors, tones of blue and some highlights. We saved the best for last- the Proa. 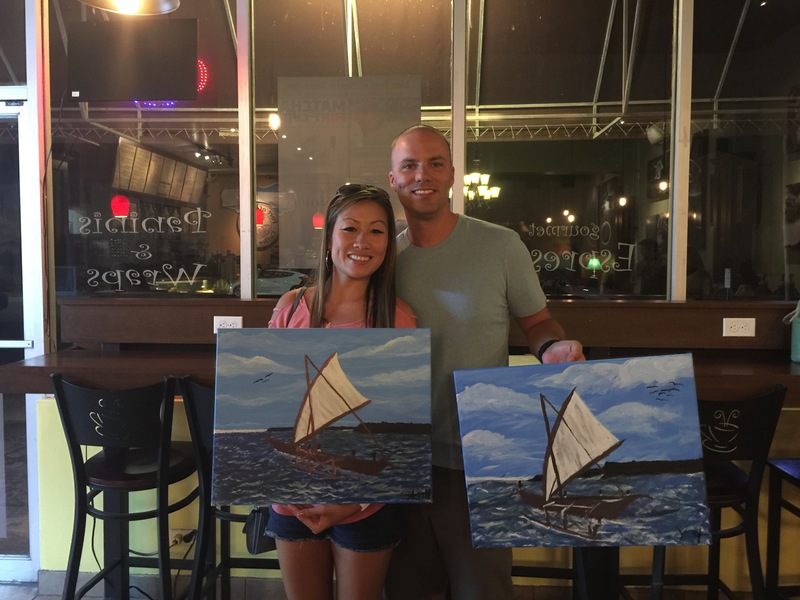 Congratulations on your historic masterpiece! 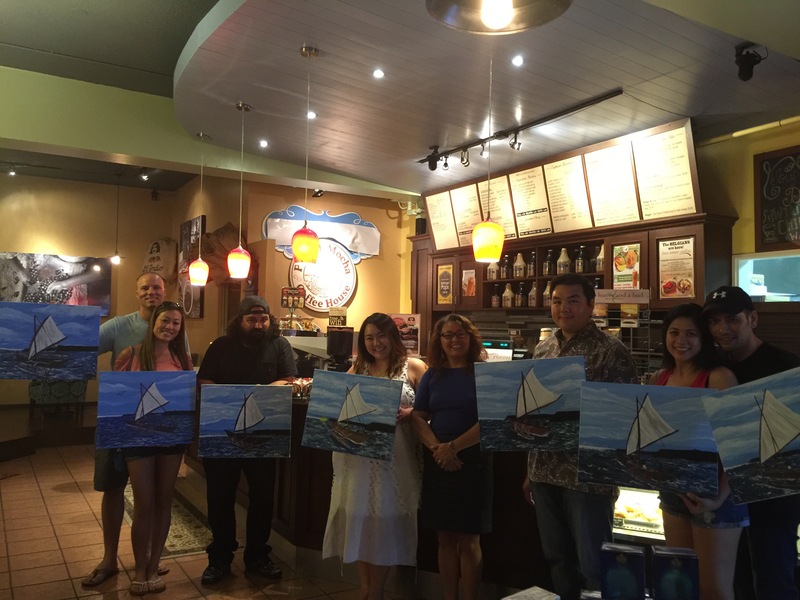 chamorro, color guam, festpac, flying proa, guam, guam culture, taliea stohmeyer. Bookmark.